Home / Health Insurance Company Reviews / Tokio Marine & Nichido Health Insurance Co. Ltd.
Tokio Marine & Nichido Health Insurance Co. Ltd.
Tokio Marine & Nichido Fire Insurance Co., Ltd., hereafter referred to as Tokio Marine & Nichido, is a Japanese insurance company owned by Tokyo-based Tokio Marine Holdings. Their parent company is the single largest non-mutual insurance companies and one of the top three insurance producers in Japan. They are a worldwide conglomerate with operations in dozens of companies including the United States. Among all of those companies are hundreds of subsidiaries. Online health insurance quotes are yours when you enter your ZIP code into our free search tool. The company can trace its roots back to 1879 and the founding of Tokio Marine Insurance. In 1898, Nichido Fire & Marine Insurance was born. It went on to become one of the top property insurance companies prior to World War II. Both companies maintained a steady course of growth and expansion until they eventually merged in 2004 to form the new company. All of the subsidiaries that came with the merger remain active today. At the commercial level, the company offers everything from property coverage to professional liability. Although the company does not offer direct health insurance policies in the same vein as companies like United Healthcare, they do provide secondary products under their personal injury and personal accident coverages. In both cases, these insurance policies would be secondary vehicles to be tapped only after a customer’s primary health insurance has been exhausted. Furthermore, there are specific limits on what these coverages will apply to, as well as annual limits and deductibles. As a matter of illustration, let’s assume that a Tokio Marine & Nichido policyholder with personal injury protection is the victim of a freak accident at home which leaves him hospitalized in serious condition. Because the accident occurred at home, his first line of coverage would be his primary health insurance policy. Depending on the type of accident, his homeowner’s insurance policy might also offer a certain amount of coverage. After both of those options have been used up, the customer’s Tokio Marine & Nichido policy would then kick him. As far as contacting the company utilizing a local agent, it is not clear whether this is possible. The sheer number of subsidiaries represented in just United States alone suggests that agents are probably available for some of the more common lines of consumer products such as automobile and homeowners insurance. Nonetheless, the company’s corporate website doesn’t make mention of agents in any way. This may be something related to Japanese culture, or perhaps they really don’t use agents. The best way to find out for sure is to contact the New York office. Assuming you were able to locate a local agent representing Tokio Marine & Nichido, he would be your best bet for a policy quote. In all likelihood, he will represent multiple companies across all the different lines of products he provides. In doing so, that local agent is better able to compare policies side-by-side in order to offer you the best deal possible. 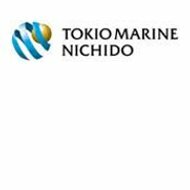 Because we’re not sure of the extent to which Tokio Marine & Nichido might utilize agents, we cannot comment on whether any agents representing them would be independent or captive. For claims service, the company does provide a toll-free telephone number, which should be listed clearly on your policy documents. It is assumed their customer service center is staffed 24-hours a day for your convenience. A secondary option for claims is to contact the company via their corporate website. A third option, if you’re able to locate a local agent, is to instigate the claims of service through that individual. Entering your zip code in the box below opens the door for you to see a wide range of health insurance rates online.